Are you in the market for siding and don’t know what to choose? You will be happy to know that, when it comes to siding, there are a variety of great materials to pick from. Fortunately, there are enough choices to satisfy every homeowner for every situation. No matter where you live or what your unique circumstances, there’s sure to be a siding to suit your needs. But before you go ahead and just buy the siding that you like the most, here’s a list of pros and cons to help you make the right choice for your home and your lifestyle. While wood is easy to work with, it can be expensive. In fact, wood is perhaps the most expensive siding material on the market with western red cedar, pine, cypress, and spruce being among the most popular choices. Admired for its natural beauty, wood ( if maintained ) has the ability to last for years! On the other side of the spectrum, wood does attract termites and other problems, increasing your maintenance costs greatly. Common forms of metal siding include steel and aluminum. While steel is generally harder and stronger than aluminum, it is susceptible to rust. Both aluminum and steel are available in countless styles but, unfortunately, in long strips, this material is known to flex. With a reputation for stability and low maintenance, it is no wonder that fiber is one of the most popular products on the market today. Fiber cement is made of at least 10-20% recycled materials, hence it is environmentally friendly. 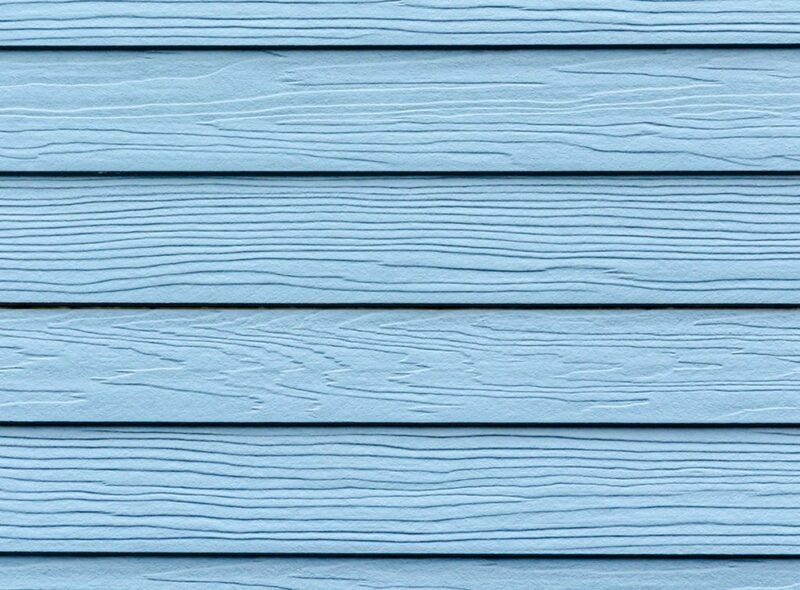 While it may look like wood, fiber cement siding is more durable, highly resistant to fire, requires less maintenance and is less prone to attract insects than its wood counterpart. When it comes to installation, finding a contractor with experience is key. The most popular of the lot, vinyl siding installation is often the choice for its versatility and durability. 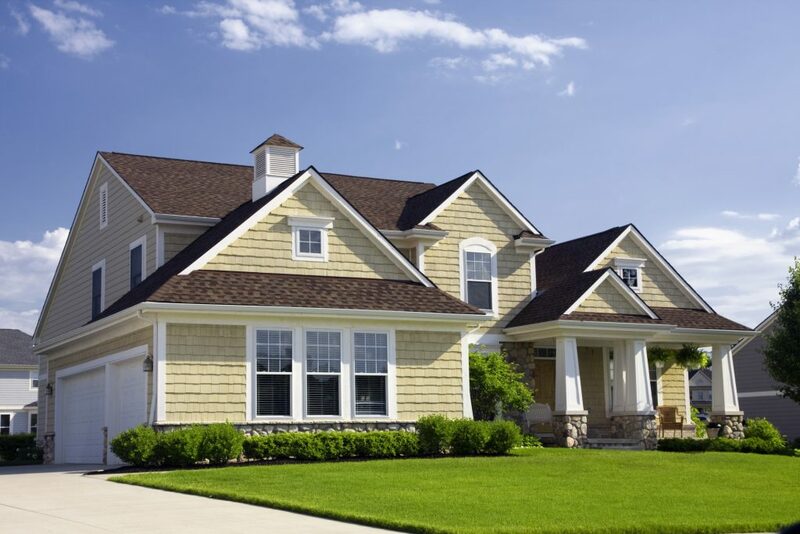 Made from PVC, vinyl siding is available in a wide range of colors and finishes. With its foam backing, this product has the power to help insulate your home while also keeping noise to a minimum. Vinyl siding replacement and repairs require little to no maintenance and color can easily be restored when it begins to fade. The only real disadvantage to vinyl is that it tends to burn in higher temperatures. Resistant to fire and insects, durable and easily maintained, stucco is a good choice for all homeowners. Stucco comes in a wide array of styles, to fit all budgets. Stucco is best suited to help minimize the look of surface shadows because its texture varies from smooth to coarse. Natural stucco has the ability to breathe (it can let out moisture from the inside), but synthetic stucco does not. Another downside to choosing stucco is that installation requires a lot of work. Preferably, this material should also be installed by an experienced professional. Ease of installation: Are you considering DIY? Durability: Does it have the strength to battle everyday wear and tear? Can it resist fire, wind and termite damage? Energy efficiency: Always check the siding’s R-value rating. In the end, your choice of siding will depend on the statement you wish to make, your location, and of course, your budget. Be sure to compare estimates from several local contractors to get an idea of the current pricing trends in your area for siding installation. Even if you are considering a DIY, talking to a local professional will give you some valuable insight and could possibly help you to avoid an expensive mistake. Which Siding Is The Best One For My Home? Siding allows homeowners to add color and definition to their house. The countless options available when it comes to siding can be a tricky bunch of choice’s to make, so how do you choose the right one? Aesthetics are always important, and besides the durability and water resistance, we all want the perfect look for our homes. Low cost, versatility, and easy maintenance have made vinyl siding the most popular choice in the U.S. Some may be turned off by the “plastic look” of certain products, but the huge variety of styles and colors available explain vinyl’s popularity. Readily available at home improvement stores and needing very few tools to install, vinyl is also DIY friendly – if you have enough experience! Mistakes can be very costly, so make sure to follow manufacturer instructions and online how-tos. Most commonly used for bungalow and cottage exteriors, wood siding always offers a rich look. If maintained properly, it can be very durable. Wood does require periodic maintenance such as chalking, painting, or staining to stop weather damage. Should you be attracted to this look, keep in mind that it is susceptible to rodent and insect attacks. However, when looked after, wooden siding can last up to 100 years. Wood is available in clapboard ( lap or bevel ) as well as shakes and shingles. Western red cedar and redwood are very attractive and durable, so they are considered the best choices by many. Genuine brick siding is made from fired clay and comes in different sizes and textures. It is a very popular material for building Colonial, Tudor, and English cottage exteriors. If it’s a timeless look you’re after, brick is for you. Brick siding uses mortar to hold it to the home. Because water penetrates brick veneers, a water proof membrane is installed between the brick veneer and the home. If installed properly and under normal conditions, brick can last the lifespan of the home. Having brick installed is labor intensive, so the cost is a bit higher when compared to other sidings. Fiber cement offers the look of masonry, stucco, or wood at a much lower cost, making it a popular choice for many homeowners. This type of siding is low-maintenance, non-flammable, and termite resistant.It is also available in a wide range of styles, textures, colors, and finishes. The down side is it’s moisture related problems. Also, keep in mind that homes built pre-1980 may have contained asbestos and will require a professional contractor for removal. Stucco is traditionally made from building sand, Portland cement, lime, and water. This is a style that is very popular in the Mediterranean, as well as ranch and Spanish exteriors. Careful installation will reduce unwanted cracks because it is so rigid. When properly installed, stucco can also last the lifetime of the home. The beauty and durability of limestone and granite offer massive appeal to homeowners who are looking for a textured exterior. Stone is more expensive than the other options and is sometimes difficult to add to an already existing home. Consider the cost of stone compared to stone veneer siding. There are many styles to choose from, it’s lighter and less expensive than natural stone, and annual cleaning and inspection will ensure your stone lasts as long as your home. Remember, just because you enjoy the look of a particular siding, it doesn’t necessarily make it the right choice for your particular home. If you are not sure which siding will work best for you, get in touch with a local professional for an expert assessment.